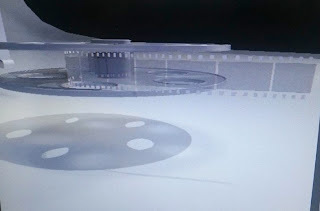 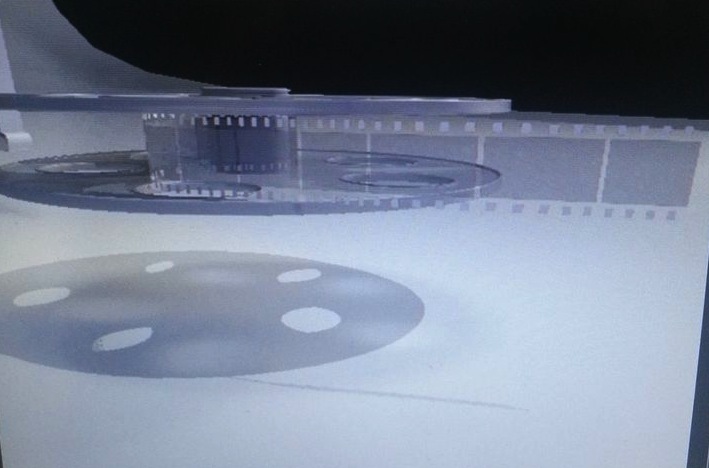 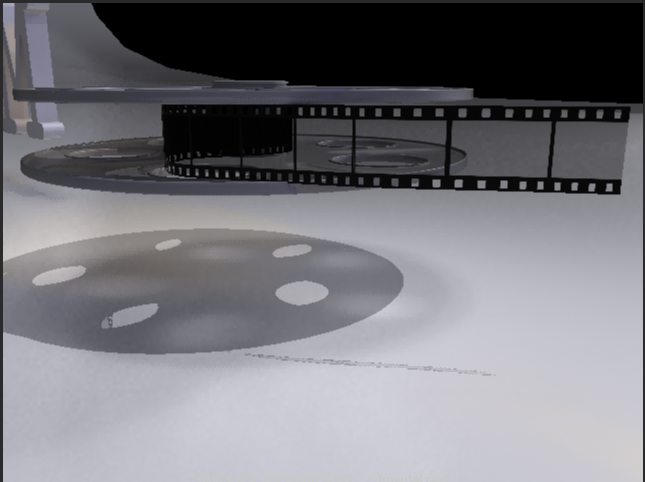 So this week I concentrated on figuring out the texture and beginning to rig my film strip for animating. I also played around with lighting and creating the text for my name. 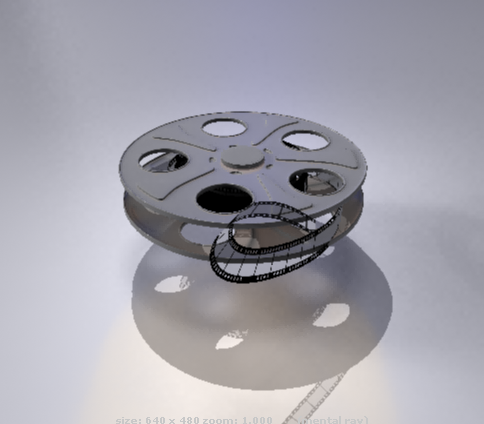 When I was texturing the film strip, I kept running into a problem with the transparency. 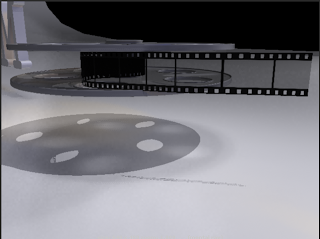 I couldn't get the alpha to work in the transparency plug-in in the Mia Material X, because in this material the alpha needs to be plugged into the Cutout Opacity. 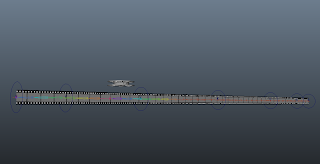 When I figured this out I didn't have any problems with the transparency. 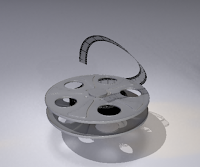 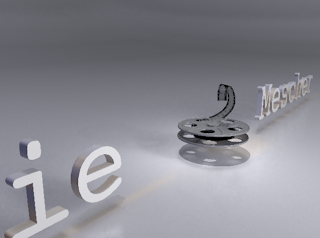 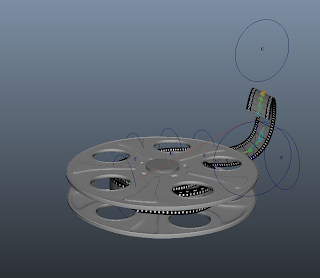 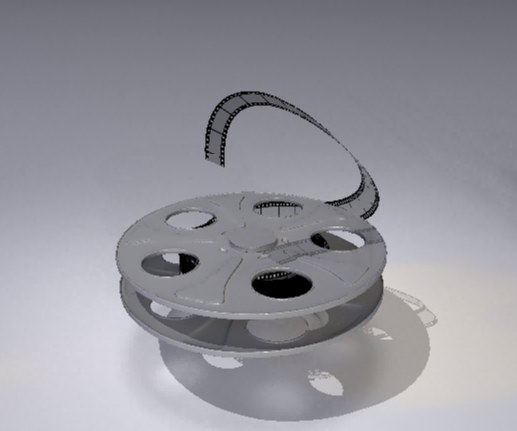 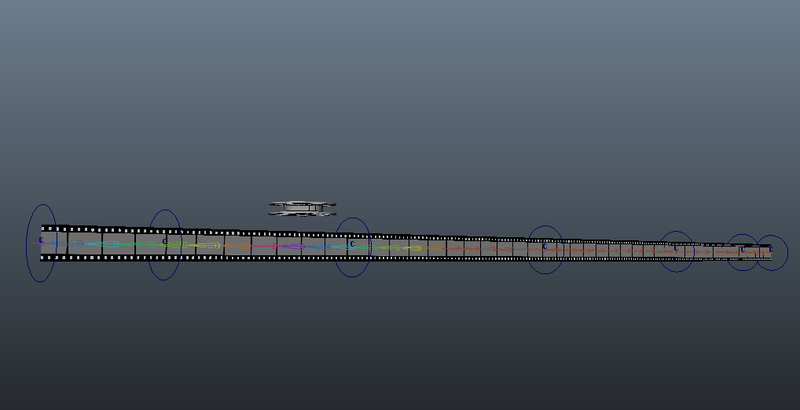 After I figured out the texture I began rigging the film strip. 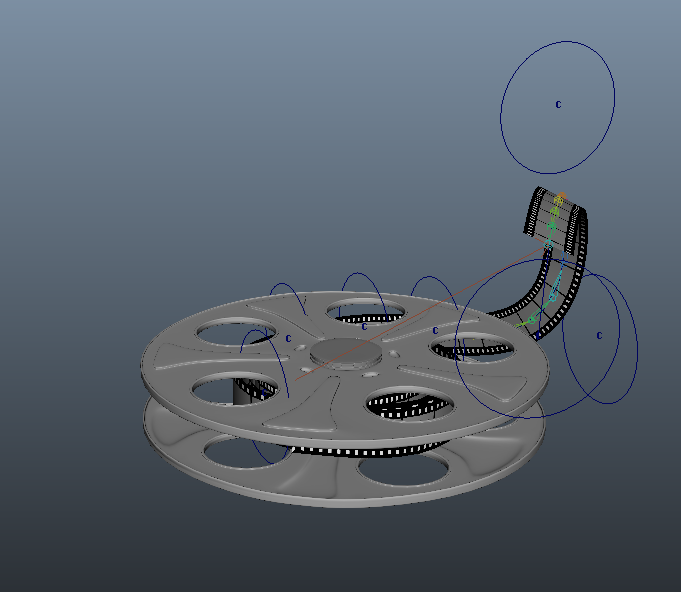 I decided I am going to use the rigging for the first half of the short and then use blend objects for the part when the film strip turns into an "s" shape.